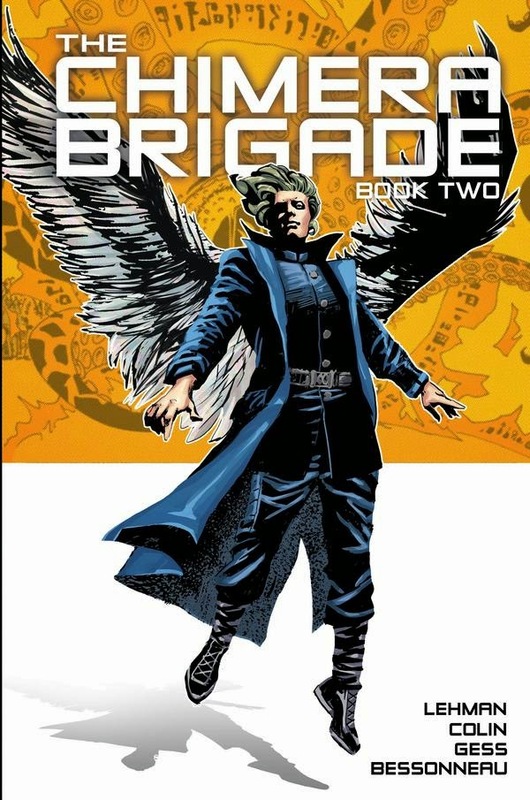 THE CHIMERA BRIGADE VOL. 2 Review | Warped Factor - Words in the Key of Geek. 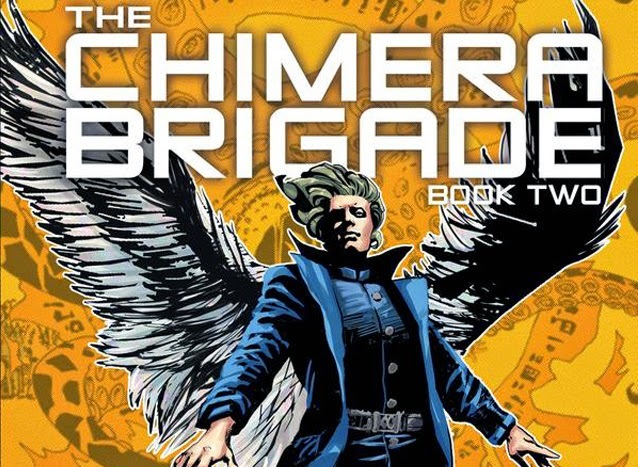 Gail Williams reviews Book Two of The Chimera Brigade. Comics are to me a rather underrated art form; those who don’t read them frequently accuse them of being stupid and childish. I think these people are missing out as there is certainly nothing stupid or childish about The Chimera Brigade. Given the setting, it’s little surprise that there is political and ideological conflict in the story. However the Chimera Brigade appeared only in asides so the biggest question in my mind was, where are they? The answer was not what I was expecting, but it worked wonderfully. Séverac’s quartered signet ring appears with the answer at just the right moment. A good idea well executed. I particularly like the character of George Spad, a female journalist who hears voices and claims that her name is a collective pseudonym, but it appears that may not be the only collective about George. So she and Séverac have a great deal in common. The art work by Fabrice Gess is commendable. It’s interesting to see how Gess and colourist Céline Bessonneau have handled the present in the usual comic book style while the past is more pastel, and the use of simulated photographs is particularly well done. This story has many layers, and at first I couldn’t see how all the threads were going to be woven together into a coherent whole, luckily the writing was sufficiently good enough to keep me reading, and I’m glad I did. This collection raises a lot of questions in the readers mind, it's engaging and draws the reader on. Importantly there are still enough questions to answer to bring the reader back for future releases.